If you have seen my earlier post which Brands That I Want To Try In 2019 you knows that Elf was on my wishlist a long time, I am so excited that I will finally see if their products are actually so good?! Elf Cosmetics is an international cosmetics brand based in Oakland, California. Founded by Joseph Shamah and Scott Vincent Borba in 2004. According to the company, its products are 100% "cruelty-free", and it supports PETA's no fur campaign. 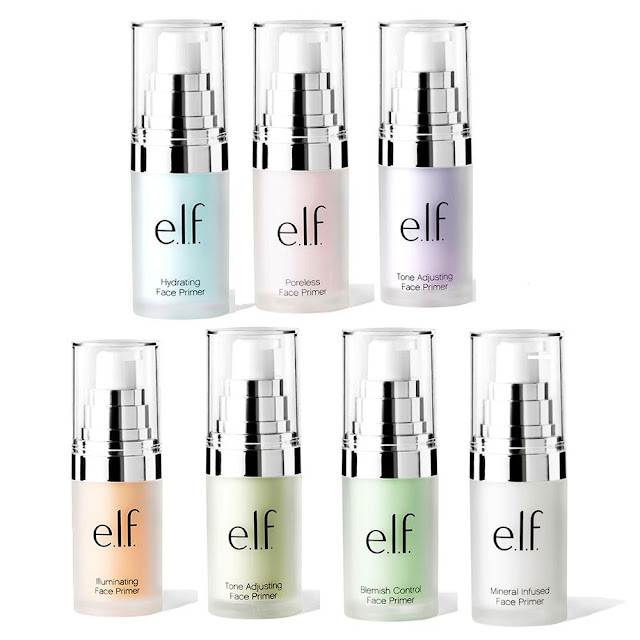 If you are interested in this brand in England, you can get them in Superdrug drugstores where the range is a little cut but they often have offers 3 for 2 or on their official website Elf Uk. In their assortment they have both makeup and skin care cosmetics. My curiosity grew even more after seeing the review of Jeffree Star's, which was amazingly positive for me. He testing undeniably a huge amount of cosmetics from different price shelves, that's why I started to feel that I might lose a lot for so long holding back before buying anything from the Elf. For a long time I wondered what to choose and then I discovered mineral infused face primer which had a rating almost 5 / 5 on the Superdruga website from over 42 opinion of those who voted, so let's see if it's actually deserved for this note. Transform your face into a flawless and smooth canvas with the Mineral Infused Face Primer. Developed to combat against excess oil, flaky dryness, enlarged pores and fine lines. This clear multipurpose skin primer will prepare your skin so makeup goes on evenly for a long-lasting satin finish. Features a new and improved air pump! For best results, you may need to pump the component several times before product dispenses. To sum up, I must admit that I liked this primer, it is not a mega revolutionary product that everyone must have and totally changed the look of my current makeup but it certainly helps achieve better results with the same cosmetics. This is one of the best silicone primers I've had because it does not clog pores even with everyday use. If you were wondering about buying it or looking for a drugstore primer after which you will really see the difference, I can truly recommend Elf Mineral primer. Great review... I'd like to try something of this brand. Have a beautiful day! i love this primer and i think that for the price, it's definitely worth it! Thanks for this fair review! seems like a good product, it's great that it doesn't irritate the skin.